In this live workshop we discuss how to optimize your child care website for conversions. We walk you through what works and how to get prospective families to give you a call to schedule their tour and ultimately enroll in your school! From adding a phone number to the right call to actions, we walk you through what’s working and what’s not. Real-life questions from other child care center owners and the full webinar, watch below! Don’t have time to watch the webinar? Listen to the full podcast here! Read along with us, click here to download the Internet Marketing Plan Transcription! Should I Be Using Remarketing in my Online Marketing Campaign? Have you thought about using remarketing in your online marketing campaign? Let’s start with understanding what remarketing is. Remarketing is a marketing tactic companies use when people visit their website but don’t buy anything or follow through on a call to action. If you visit a site and look at certain products, ads about those products can follow you as you browse the web. 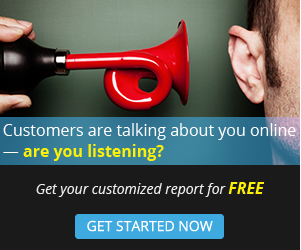 This marketing tactic generates leads from people who have already visited your website. If your website is not getting traffic, you may want to start with some SEO or PPC marketing first. Remarketing ads can help generate leads so that you can follow up. An article published by Search Engine Journal revealed that only 2% of website visitors will buy something on their first visit to a website. This statistic focuses on commerce, but the numbers matter for child care center websites. Potential customers like to make well-informed decisions. This is even more true when it comes to parents choosing a preschool for their child. Social media is no longer optional for any child care center. What was once an online pastime has now become a dominant marketing tool. Businesses have been using social media for sales, but have you been using your social media presence to increase enrollment for your child care center? Business owners can generate sales through social media if they know how to use this marketing tool properly. What can you do to start driving new enrollments for your child care center through social media? Learn what tactics will increase enrollment for your daycare center. Before we get started on using social media for lead generation, let us first remember the etiquette of social media. If you are using your social media platforms for business, you are likely already keeping these things in mind. The golden rule is as follows: If you wouldn’t tell little ones to do it in a sandbox, don’t do it online. What does this mean? Play nice in the sandbox. Throwing sand gets you nowhere. Make friends in the sandbox. It is called “social” media, after all. Use your platforms to interact and endorse other people and local businesses you support! Don’t hog the whole sandbox. If you are posting every 30 minutes, your audience will tune you out. Encourage dialogue and interaction on your platforms! Don’t spend all day in the sandbox. Social media marketing is just one tactic to generate leads for your preschool. There is only so much useful work you can do on social media before you end up watching cat videos for an hour. There are so many social media platforms that you can use to engage with parents. 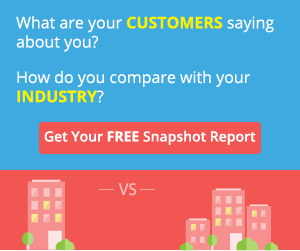 Do you know which social media platform your target audience uses most frequently? Is it LinkedIn, Facebook, Twitter, Instagram, or something else? You can get the most out of your marketing dollars if you focus your attention on a platform that reaches your target market. What time do parents hop on Twitter or Facebook? There is plenty of data out there to help you understand when young parents are on social media platforms during the day. You can use information about your target market’s habits to schedule your posts and tweets and reach prospective parents effectively. If you want people to pay attention to your child care center’s online activity, you have to offer something of quality. Remember that each post on Facebook, Twitter, or Instagram is an opportunity for you to connect with prospective parents. If your current approach is not getting you leads, consider trying a post with a different tone or topic to mix things up. This deviation could be just what you need to get your daycare center noticed on social media. If you provide content that is both interesting and helpful to readers, you are more likely to entice prospective parents to follow through on your call to action. Before you hit the “post” button, ask yourself if the post is engaging and informative. Spammy posts could actually turn off potential customers. A good rule to follow is the 80/20 rule: 80% of your content should be informative, and the other 20% of your content can be promotional. How can your potential clients engage with your preschool if you don’t give them a call to action? On Facebook, use the buttons at the top of your Facebook Page to engage your audience in a call to action. You can tell parents to “Call Now” and include your child care center’s phone number. A strong call to action only works if you are prepared for them to follow through. Do you answer your daycare center’s phones regularly? If you have a “Contact Us” email address, do you check that email inbox frequently enough to get back to people in a timely manner? Add more information and videos to your Facebook Page using the custom tabs feature. The custom tabs live in the left column of your Facebook page and can feature information about your services or connect to your YouTube channel or Twitter account. These menu items add value to your Facebook Page, since mobile users may be more inclined to navigate through the Facebook application than go to your website. Are people commenting on your recent post on Facebook or Instagram? You have an opportunity to engage with your audience and answer questions if people respond to your posts! Do you have someone on your team equipped to answer questions and respond to comments on your social media platforms? You can also engage your audience and potential customers by posting a poll or survey to start a conversation. You can ask what are some favorite indoor and outdoor summer activities for kids! These polls and surveys can also give you insight about what your target market wants. Families will be looking for a child care center near where the parents work or live. Include your preschool’s location in posts and ads on your social media platforms to reach people who are actually in your area. It can be difficult to compete with all the child care centers across the country, so focus your attention on making your preschool known in your area. While older social media and search engine optimization (SEO) practices dictated that you need to mention your city frequently in all content, this suggestion has changed. You do not need the name of your city in every sentence of every social media post or blog post on your child care website. Instead of using a region or city name exorbitantly, think about using it mindfully. Including your location can help parents on social media know if your preschool is close to their work or home. Are people talking about your child care center on social media platforms? You need to have tools in place to monitor if your brand is mentioned on social media platforms like Twitter or websites like Yelp. Include social media in your reputation marketing plan from Local Child Care Marketing. Your online reputation is extremely important. People trust referrals from friends and family and online reviews. Encourage parents at your preschool to leave a glowing review online. You can offer incentives to current parents of enrolled students with a referral program. Local Child Care Marketing can help you understand how to make the most out of your online marketing efforts. 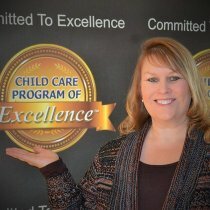 Local Child Care Marketing has helped over 75 child care providers around the nation improve their web presence through website development, reputation marketing, social media marketing, Pay-Per-Click (PPC) advertising, and more. You can take your web presence to the next level and increase enrollment before back to school season hits. Contact us today to learn how to generate leads through social media. 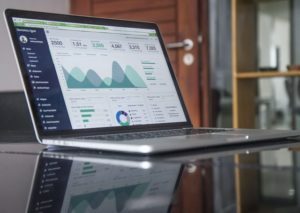 When breaking down online marketing strategies, Google Analytics is frequently discussed but rarely used to its full potential. Let’s talk about how Google Analytics can help your child care website reach more potential families and increase enrollment for the fall. 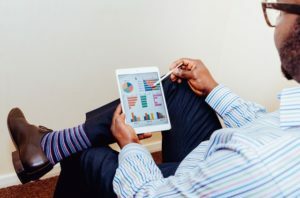 This is just the tip of the iceberg when it comes to all the information Google Analytics can provide about your website. There is so much that can be measured with Google Analytics code and data. If there is important data you want to find easily, you can add those categories to your dashboard. Customize your view to focus on the data most important to you and your daycare website. Google Analytics is free for users with less than 5 million page views each month. 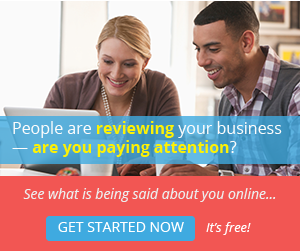 Who doesn’t want a free tool that will help them improve their website and online marketing approach? Learn what your best and worst performers are on your child care website. You can learn what sites keep visitors interested for longer periods of time. What pages make people run away? From the Content menu, click on Site Content and then select Pages. From here you can understand on what pages your audience spends the most time. If one web page is a real winner, what can you do to your other web pages to keep people engaged? Use Google Analytics to compare the bounce rate of each of your pages. Since your bounce rate does factor into SEO, this is one aspect of Google Analytics you cannot afford to ignore. You can also use Google Analytics to find out what your website visitors are clicking on the most. Visit your Content menu and click on the In-Page Analytics to learn which internal links are garnering the most interest. Learn what people are looking for are your website. Are they looking for an answer you don’t provide? Is there a service you offer at your preschool but do not heavily feature or advertise on your website? You could be losing out to another local child care center because families mistakenly believe you don’t have what they need. Google Analytics gives you the chance to identify these blind spots and address them so you are properly representing your daycare center online. Our team has said that your target market will most likely visit your website on a mobile device like a smart phone. Don’t just take our word for it. Instead, use Google Analytics to understand how traffic to your website varies on different devices. If your website is not mobile friendly, a website visitor is likely to spend less time on your website and return to search engine results for the next option. Visitors to your website will also be far less likely to engage on your site or answer your call to action if it is not mobile friendly and they are using mobile devices. Think about the last time you looked up a local restaurant or coffee shop on your phone. Did you visit their website? Was the website hard to navigate? Did that make you want to spend more time trying to go through the website to have your questions answered? Did that experience make you want to go to that coffee shop or restaurant? Now think about your website. Could parents be thinking the same thing when they visit your website? If the answer is yes, then it is time to up your mobile game. Learn who is your audience. Are you reaching families and parents in your area? Because there are so many child centers nationwide, it is imperative that child care center owners can market to the local community and surrounding cities. If you are a daycare center in Memphis, Tennessee, you would ideally want families in Memphis to be visiting your website and considering enrolling their children at your daycare center. Is Google Analytics showing that the only people who see your website are from Burbank, California, then that isn’t really working for you is it? If the only people who are finding your website are so far away they would not send their children to your daycare, then you need to adjust accordingly. Where is your traffic coming from? 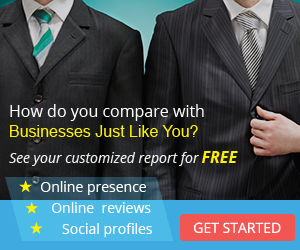 Are people finding you via Facebook, Yelp, or another site? To prepare for enrollment season, it may be worth your while to invest in an additional marketing budget. How can you get the most out of your money? If you use Google Analytics, you can see which outside sites drive traffic to your website. With this information, you can make a smarter investment in your marketing dollars towards a site that will reach the right audience. If parents are finding you through Facebook, you can use that knowledge to make a Facebook ad that targets young families in need of child care services. If website visitors find you through a site like Yelp or Care.com, make sure all your information is up to date on those sites. You can use Google Analytics for strategic decisions. With this online marketing tool, you can learn which online campaigns are getting you the most bang for your buck. You can use the data from Advanced Segments to figure out if your social media marketing campaign is working or if you should be putting more effort in another area of your marketing strategy. Local Child Care Marketing can help you understand how to develop and implement a marketing strategy for your child care center. There are so many online marketing tools available to help you increase enrollment for your daycare center, and our team can break down the options to find what is most useful for you now. Parents are searching for solutions online and on their mobile devices. Make sure that these parents can find you and your child care center as the solution. With services like Website Development, Pay-Per-Click Advertising, Social Media Marketing, Local Child Care Marketing can boost your child care center’s web presence. Contact us to learn more about how to use Google Analytics to your advantage this summer! What does SSL mean? What is an SSL? Do I need one for my child care center website? How do SSL certificate installations work? 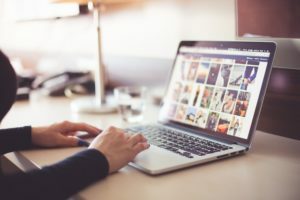 When it comes to the ins and outs of building your daycare’s reputation on the internet, there are so many moving pieces. This month, we are introducing one that has been around for a few years but has become more important than ever: SSL. SSL stands for Secure Sockets Layer, and it encrypts your data as you visit a website. Hackers and thieves want to intercept communications between your computer and the hosting server of the website you visit to capture important data about you. SSL protects your personal information, like phone numbers, addresses, names, and most importantly, credit card information. This is especially important if you are asking parents to share sensitive information with you through your website. How do you know a website is encrypting your data as you browse the web? When you look at the URL of a website like www.google.com, look just to the left of that. Do you see HTTP or HTTPS? That “S” lets you know the site is secure. Some SSL certificate providers will even let you know a site is secure by adding a little green box that says “Secure” or a picture of a lock to the left of the URL. These examples let you know that your connection to the site is secure. SSL certificate providers are web service company that are certificate issuing authorities. You can also purchase SSL certificates from web hosting companies like GoDaddy. Some of the most popular SSL certificate providers are Comodo, GeoTrust, and VeriSign. Different SSL certificate providers offer packages up to 3 years with warranties and free unlimited reissues for the lifetime of the certificate. SSL certificate providers also offer different ways to verify your site is secure, from the green box to a lock, etc. There are more online threats of identity theft and credit card fraud than ever before. When sites use encryption to protect your information, your chances of being a victim of identity theft decrease. The most important reason behind getting an SSL certificate is safety and security. It turns out that SSL is required for compliance with Payment Card Industry (PCI) standards. Does your website have any sort of e-commerce aspect? 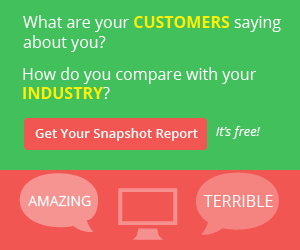 Do you sell anything on your website? 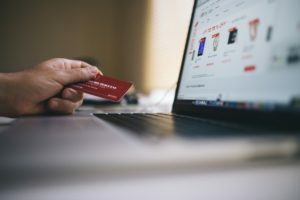 If there is a chance a website visitor would enter credit card information on your website, the security standards are stricter in order to protect financial information and prevent fraud. The extra need for security means that your website is subject to audits to make sure you comply with the PCI standards. One of these standards is having an SSL certificate. While this requirement is only necessary for e-commerce websites, SSL on your site shows you are trustworthy. SSL certificates provide authentication of your site. If your site is secured through SSL, you indicate to your website visitors that you are who you say you are. A secure site also gives the sign to visitors that your content has not been compromised in any way. An SSL certificate authenticates your child care center’s website. Google has started to label sites without SSL as “not secure.” If your site does not have an SSL certificate, browsers like Google Chrome can tell your website visitors not to type in any personal information while on your site. Imagine the first impression you get of a company is a trusted authority telling you, “This isn’t safe.” That can give parents the willies! If parents don’t even feel safe visiting your website, what are the chances they will feel safe leaving their young children in your care? Google does not always announce updates anymore; instead the experts at HQ continue to refine the algorithm to make sure people searching online find quality, user-friendly content. Taking the step to secure your website and get an SSL certificate may not boost your website from page three of results to the first result of the top page, but it can improve your search engine rankings. If other child care centers in your area are investing in SEO and online marketing, every little effort can help you beat out the competition. At Local Child Care Marketing, our team can make sure your website helps parents learn about your child care center and trust you as a child care center owner. Local Child Care Marketing can help you develop or revamp your child care center website to be user friendly on different browsers like Google Chrome, Mozilla Firefox, and Safari. We ensure that your website is also mobile friendly and optimized to improve your rankings on various search engines. With over 7 years of experience, Local Child Care Marketing has worked with over 75 child care providers across the nation. We offer a wide array of online marketing services to help you get your preschool noticed by parents. 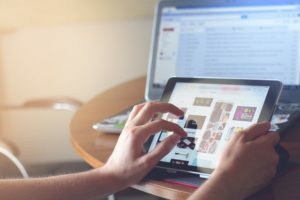 From Website Development and SEO to Reputation Management and Pay-Per-Click Advertising, Local Child Care Marketing serves as your ally in building your child care center’s online reputation. Over 80% of parents look online for child care centers, and roughly 72% of them trust online reviews. What are people saying about your child care center on the web? Contact us today to learn more about what you can be doing online to gain parents’ trust and increase enrollment!